Joe Albany (1924 - 1988) was one of the handful of bebop pianists who re-emerged to the world stage in the 70s. On this album he is captured performing a solo concert at Copenhagen's famed Montmartre club on May 1, 1973. It serves as the testimonial of an extraordinary artist. Although there exist no official recordings with Charlie Parker, Joe Albany was one of the few white pianists who played with Bird. Albany's troubled life seen from his only daughter's perspectives were made into a film entitled 'Low Down', which premiered at the 2014 Sundance Film Festival to critical and public acclaim. Some of the music used in the movie was from Joe's first release on SteepleChase, 1972's 'Birdtown Bird' (SCCD 31003). It has been a good year for jazz films: Whiplash. Sound of Redemption: The Frank Morgan Story. Low Down, a gritty biopic about Joe Albany. 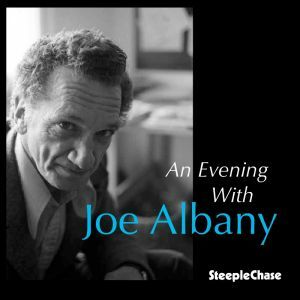 The best way to experience Low Down and An Evening With Joe Albany 2 is back-to-back. The film contains Albany’s original recordings in flashes and quick interludes. If you only watched the film, you might wonder why his story of addiction and self-betrayal matters. The CD reveals why. It is the second release drawn from a solo performance at the Jazzhus Montmartre in Copenhagen in 1973. Albany, a shadowy figure of myth and legend, was present at the creation of bebop and played with Charlie Parker. His repertoire at the Montmartre is classic stuff from the Songbook, but his chordal extensions and angular, highly syncopated phrasing are pure bop. Albany usually lands on the offbeat. Yet his digressions into stride, and his ability to reharmonize standards on the fly, are more Art Tatum than Bud Powell. He was a hard, percussive, lavish, orchestral pianist, with a unique concept of lyricism, unforgiving as granite. He liked medleys. There is a headlong, ecstatic four-song Jerome Kern set, and a slow-burning ballad trilogy centered on 50 passionate seconds of “My Ideal.” “Over the Rainbow” (a few bars of which appear in the film) is overwhelmed with vast arpeggiated decoration. “Lush Life” also occurs briefly in the film. In the Montmartre, its towering architecture keeps ascending for five minutes. Albany buries “Jitterbug Waltz” in new content, yet Fats Waller’s song is always there, in a hundred guises. The recording is odd. The sound quality is marginal, and there is no evidence of an audience. But Albany was a major jazz pianist all but lost to the world. This album rescues one bright night in his dark life.